Companies and industries that manufacture, distribute, and sell medical products must take serious measures and precautions to ensure that their products are safe for patients to use. While the FDA actively works to determine the sound reliability of medical devices, sometimes a product may be in use for years before its defect presents itself. In any event, a defective medical device can have devastating consequences for victims and their families, causing a variety of severe injuries or wrongful death, during surgery and with implanted devices. If a defective medical device has caused an injury or wrongful death to you or a loved one, contact the experienced Boston personal injury lawyers at Bellotti Law Group, P.C. today for a FREE consultation to discuss your options at 617-225-2100. 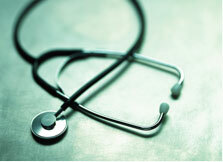 We have decades of experience successfully handling every type of medical malpractice case. Improper manufacturing can cause device failures resulting in detrimental injuries and side effects to the individuals who depend on them. Who Is Liable For Injuries Caused By Defective Medical Devices? Under Massachusetts State law, product manufacturers, distributors, and designers have a responsibility to create and distribute safe products. The manufacturer has a duty to design and distribute devices that eliminate hazards from products. If the manufacturer creates a defective medical product or fails to provide reasonable and accurate warnings of the dangers associated with the device, it will be liable for any injury you have suffered. If you believe you or a family member suffered a serious or disabling injury through negligence on the part of a manufacturing company for a medical device, contact the Boston personal injury attorneys at Bellotti Law Group, P.C. today. We have offices in Boston, Cambridge, and Quincy and serve all of Massachusetts.